Due to the new General Data Protection Regulations (GDPR) which comes into effect from 25th May 2018, we are required to inform you of the data we hold for your organisation and how your data is handled and stored. This is to ensure we are compliant with the new regulations. We will not share your company details with third parties or use them for marketing purposes. No personal information is stored on our systems. For the purposes of our trading relationship with your organisation we hold the following commercial information securely. With over 25 years working in embedded systems and software, Andrew brings a wealth of knowledge and experience to any situation. His wide ranging industry experience gives him insights that other more narrowly focussed experts may not have. He has successfully led and managed software teams and has consistently provided top class support to international clients on multi-million dollar projects. An engineer at heart, Andrew loves to design and innovate, and will often have a solution to an issue before the client has even recognised there is a problem. After completing his degree in Electronic Engineering at Plymouth University in 1994, including a sandwich year at IBM, Andrew started his career working as a software engineer in the Automotive industry. He helped develop commercial vehicle brake testers as well as other automotive test equipment that can be found in most garages in the UK. 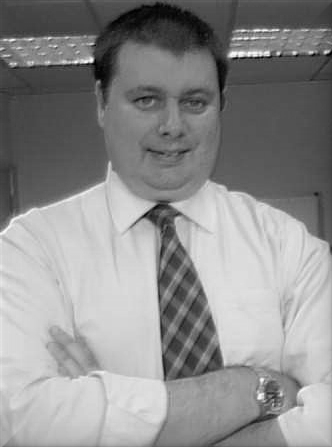 Andrew then moved into the telecommunications sector, first working on MoD military radio systems and then in the 3G industry where he helped develop a state of the art adaptive predistortion amplifer with efficiency rates unheard of at the time. It was during this time that Andrew started to assume team leader and management roles. After the dot com crash and decline of the telecoms industry Andrew joined the Security and Access Control market, working for the UK leader Group4 Technology. He developed RFID and Biometric security systems which were deployed in the Pentagon as well as other high security sites. Another career change saw Andrew getting involved in the emerging Digital TV industry. He joined a market leading middleware provider where he was able to leverage his embedded skills by providing ports of the middleware to a number of high profile semiconductor vendors and mainstream consumer electronic manufacturers like Philips/NXP, Panasonic, JVC, Toshiba and ST Microelectronics. He was instrumental in introducing the first commercial Linux based PVR to the UK market, marking the end of bespoke operating systems tied to specific STB architectures. Frustrated by the slow pace of development and the lack of innovation in this market, Andrew decided to go freelance in 2012. He is now providing his wide range of expertise across a number of industries for multiple clients both in the UK and abroad.